Recently I read the book Farm City by Novella Carpenter. It pretty much rocked my world. 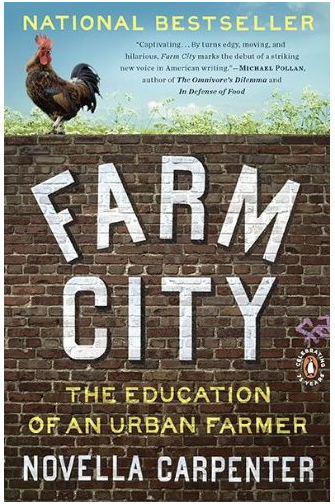 Carpenter’s detailed account of the creation of her urban farm in a rough Oakland neighborhood stoked my already flaming interest in gardening and animal tending. She raised a huge garden on an abandoned lot, a bunch of chickens, rabbits, fruit trees, bees and TWO PIGS! Seriously. She did. And she did it all with a zingy sense of humor that makes me think (if I could overcome my total awe) that we could be friends. 1.) Chickens make food that I like to eat. Eggs are tasty, and absolutely essential for most of my baking needs. Plus, chickens lay eggs in a variety of colors, which makes them taste better. No, it doesn’t matter that the color doesn’t really impact the insides of the egg. It still tastes better. 2.) Raising chickens would connect me even more to the food I eat, which is something I am totally into. 3.) Having chickens seems like lots of fun! It’s an adventure in self-sufficiency! 5.) 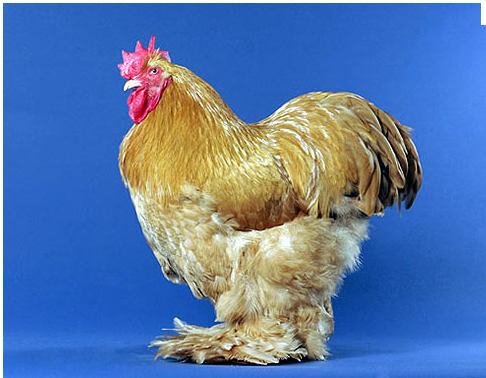 There are lots of really cool chicken breeds out there that I could help save from extinction. It would be my own little piece of Slow Food’s Arc of Taste. 6.) Chickens take compostable material, like fresh veggies, and make it into fertilizer (chicken poop) much faster than worms or compost bins. My garden would benefit greatly from chickens. 8.) The novelty of gathering my own eggs is AMAZING. And, knowing myself, it wouldn’t wear off for a loooooong time. 9.) Having the companionship of chickens would be fun, as they are cute, strange and full of personality. 10.) Slaughtering my chickens someday would be a test of my ability to eat meat. If I am not able to kill and eat my own chickens, how can I ask someone else to kill some stranger chicken for me? If I can’t feel ok about eating my own flock, than why should I feel ok about eating meat at all? Since I don’t have a ton of space, I have been looking into varieties of chickens that would enjoy living on my deck and foraging in the back yard. They would need to be small, so they could live in a small coop. They would need to be winter hardy, since WI is hella cold for at least 4 months every year. And they would, of course, need to lay eggs that I can eat, preferably enough eggs to make it worth the investment in time, money and other resources. If they were known for their post-mortem tastiness, so much the better. 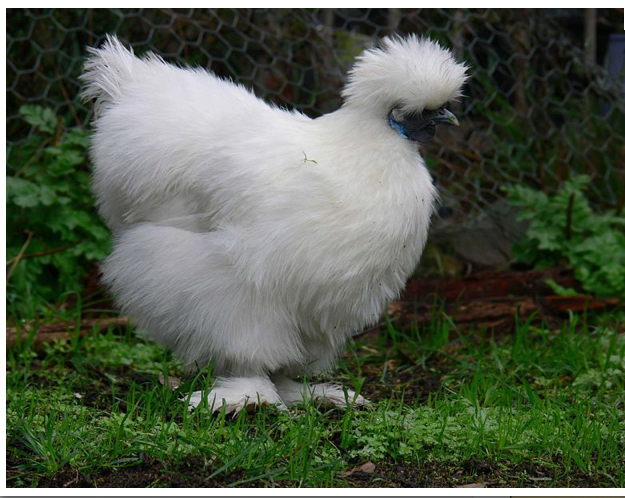 Though my chicken research has only begun, I am thinking that a Bantam variety would be a perfect fit. They’re like mini-versions of many breeds of chickens. My life would be better with this chicken in it. Do any of you, dear readers, have chickens? Does anyone have any advice or recommendations for this would-be-chicken-keeper? We have chickens. We’ve had chickens since the first year it was legal in Madison, like 2003 or something. We love our Girls! 2) Chickens are pretty hardy in cold weather. It’s actually the summer heat that incapacitates them more! 3) Unless you are willing and able to slaughter your hens once they stop laying, be prepared to have a bunch of feathery freeloaders on your hands. Our oldest, Jemima, is pushing 8 and hasn’t laid an egg in 7 years. 4) They are mesmerizing. We spend hours upon hours just watching them be ridiculous. 5) We have a BUNCH of books on raising urban chickens if you would like to borrow them. 6) GET CHICKENS! It’ll improve your quality of life immeasurably. do you see much urban agriculture in bangkok? could you get chickens while you’re there? that would be seriously AMAZING.